We’ve been sourcing aromatherapy products since 1993 and our Signature Lotion Base is simply the very best lotion base we have ever found. This premium formula of essential ingredients provides for exceptional quality and texture. It is ready to use as a hydrator or in the case of many of our private-label customers, as a base for adding Essential Oils to create your own signature lotion. In addition, we offer our highly popular Monoi Body Cream, a Tahitian Gardenia-infused Coconut Oil based hydrator. 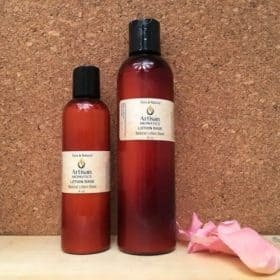 Would you like to make your own aromatherapy lotion blends? 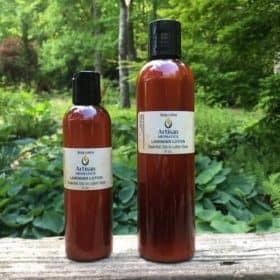 We offer our lotion base and a comprehensive offering of therapeutic quality Essential Oils for blending either using our pre-made blends or the opportunity to create your own custom formula. The primary preservative in our Lotion Base is Vitamin E which is an excellent natural preservative used to extend the shelf life of the lotion. Please visit the link to our Vitamin E to purchase separately in your own use as a preservative in your custom blends. Tip: We recommend adding a total of 2.5% essential oils in our Lotion Base. Alternatively, we offer a massage oil base as an alternative to lotion. We invite you to visit this related article on winter skin care with essential oils from our Professional Aromatherapist Consultant, Dr. Joie Power.